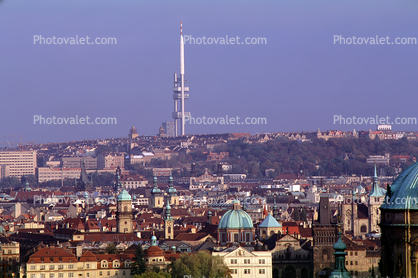 The Zizkov Television Tower is located at the Mahler Gardens in Prague Czech Republic. It was constructed in 1987-1990 and is 216 meters high. There is a restaurant located at the top platform.